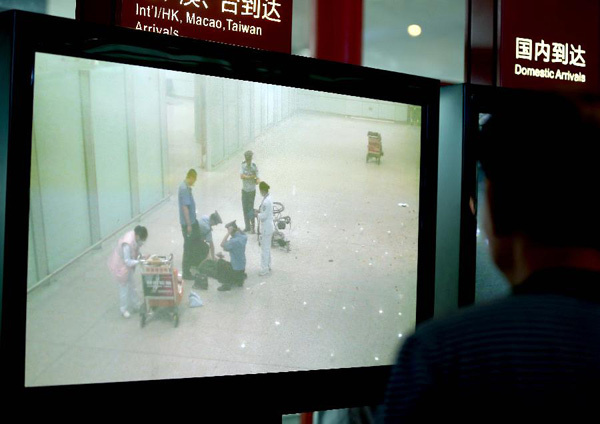 BEIJING, July 20 (Xinhua) — An explosion occurred Saturday evening at Terminal 3 of the Beijing Capital International Airport, police said. A wheel-chaired Chinese man, identified as Ji Zhongxing from eastern Shandong province, set off a home-made explosive device outside the arrivals exit of the Terminal 3 at around 6:24 p.m., an initial police investigation showed. The device was detonated after the 34-year-old was stopped from handing out leaflets to get attention to his complaints, according to the probe. Ji himself was injured, but suffered no life-threatening injuries and is currently under treatment. The explosion caused no other injuries. The police cordon at the arrivals exit has been removed, and the airport has begun to resume normal order.